Lonesome could not be more charming. Its appeal is based in large part on the fact that much of it was filmed on Coney Island, and any glimpse of that magical setting as it was in the 1920s is to be treasured. 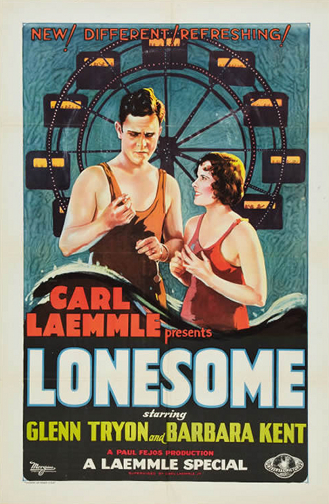 Lonesome was originally released as a silent picture, but with all the fuss over the new sound technology, it was decided to bring back all involved parties to film three scenes with synchronized music and dialogue. So it’s not quite a silent and not quite a talkie. But it’s certainly delightful, in our opinion, and we encourage you, if you ever have the opportunity, to see it (in a theatre and not streaming online, if at all possible). But you might well be wondering why we’re mentioning what is today a rather obscure picture now? Well, we’re sad to report that it’s because the movie’s leading lady, Barbara Kent, one of Universal Studios’ original contract stars and the final surviving WAMPAS Baby Star of 1927, died a week ago yesterday at the age of 103. 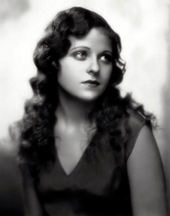 The Canadian-born Kent (her birthname was Barbara Cloutman) was not, admittedly, the biggest of names, even at the height of her career, but she made her mark, making eight or nine silents before successfully navigating the switch to talking pictures. She made 25 sound movies following her appearance in Lonesome, but retired from acting in 1935. Among Kent’s most notable films were her screen debut in Flesh and the Devil (1926), with John Gilbert and Greta Garbo; a pair of starring roles opposite Harold Lloyd, in 1929’s Welcome Danger and Feet First a year later; a supporting role in Indiscreet (1931), which starred Gloria Swanson; and Emma, which featured Myrna Loy and Marie Dressler. 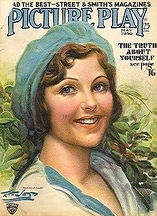 In the course of her nine-year career, Kent also worked alongside Douglas Fairbanks Jr., Richard Barthelmess, Edward G. Robinson, Charles “Buddy” Rogers, Andy Devine, James Gleason, Ben Lyon, Gilbert Roland, Noah Beery, Victor Jory, Dickie Moore, Monte Blue, Wallace Ford, Ward Bond, Arthur Lake, and Rex the Wonder Horse. That may not qualify as a Hall of Fame roster of co-stars, but many an actress has done worse. After retiring, Kent refused virtually all interviews about her years in Hollywood—one notable exception was the time she afforded author Michael G. Ankerich, who profiled Kent in The Sound of Silence: Conversations with 16 Film and Stage Personalities Who Bridged the Gap Between Silents and Talkies—as she settled into a successive pair of happy marriages—first to Harry Edington, a Hollywood agent, whom she wed in 1932, and then, some years after Edington’s death in 1949, she married Jack Monroe, a Lockheed engineer. Aside from evading would-be interviewers, Kent reportedly spent her free time in her golden years as a golfer and a pilot. For more on Kent’s life and career, give this New York Times obit a look.